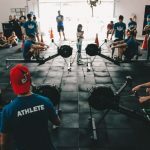 Did you know Hippocrates was a CrossFit Practitioner? OK, that may not be completely true, but he was said to have stuffed animal skins for patients to toss for medicinal purposes. So these Medicine balls have been around for quite a while. 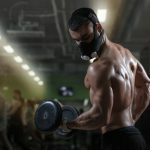 But they sure have become popular among Bootcamp, CrossFit and Functional Fitness athletes. The medicine ball has evolved considerably since the days of Hippocrates, and I for one, am thankful that we are not tossing stuffed bunnies and slamming a stuffed Bambi into the wall. In Fact, we use a rubber ball filled with gel, which is a little more animal friendly. A lot has changed since the first Medicine ball was created, so here is a quick update. 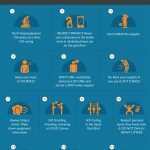 We will cover the 4 types of Medicine balls, recommend the best exercises with medicine balls and offer some workout routines that showcase each type of med ball. We will finish with reviews, also based on medicine ball type. 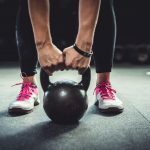 How to Choose a Medicine Ball? Medicine balls vary in stiffness, material, features and weight, based on the exercise they are used for. It makes sense to choose a medicine ball that fits the exercises you perform. Many home gyms use more than one style, and commercial gyms usually have a variety of weights and styles. Slam Ball/ dead ball- Does not bounce, you can throw it really, really hard against the ground or wall and it will not ricochet and hit you. They are generally heavy for size and have a thick rubber shell. 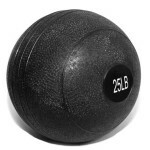 These balls can be used for lifting, Atlas style, or can be incorporated into planks and pushups, because they are more stable on the ground and do not roll as easy. Technically you can do your wall balls using a slam ball, but if one lands on your face it has more ouch than a wall ball. But overall, a slam ball is more versatile than a wall ball. Note: It is normal for Slam balls to have space or “play” on the inside, so they slam properly. You may find the ball seems only ¾ full. Don’t be alarmed, this is by design. These balls also do not bounce. They are usually made with a vinyl fabric, and some padding. They are less heavy, for size, than the slam pall. The softer cover and padding make them easier to catch after you throw the against the wall. Traditional style ball for traditional exercises. This ball will bounce, so don’t throw it against the wall or slam it into the ground, as it can hit you on the way back. This is the med ball you want for core exercises, and tossing the ball to a partner. A hard bouncy med ball on a rope. You swing the ball on a rope, like video below. 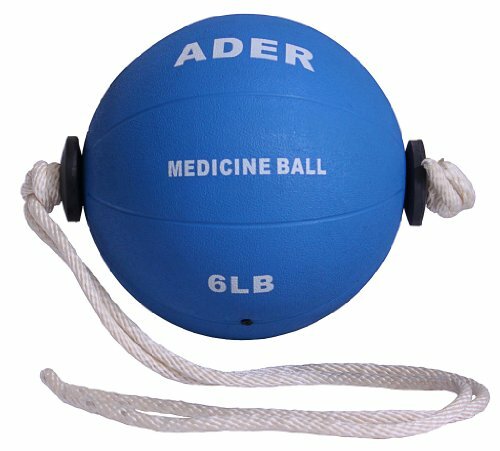 This is a medicine ball for advanced athletes, because it needs to be used properly or injury can occur. This video has no speaking and is simple, and effective. Mat demonstrates 100 core exercises you can perform with the med ball so you will never grow bored with your core routine. There are helpful tips written on the screen. Nice touch, Thanks Mat! 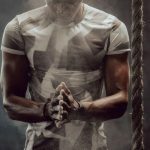 Zeus himself demos 10 core exercises. This video also has no speaking, and is quite a bit shorter that the previous video, so if you are pressed for time, this is the core video for you. Coach Brian demos 4 wall ball exercises done with the softer padded vinyl ball. Includes wall ball toss, Wall ball chest press, wall ball side toss, Underhand toss. 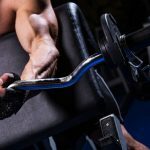 These exercises build upper body power. I lie this video because Case explains proper form and give several tips to perform wall balls. Great video for beginners and those new to CrossFit. These are Dead ball workouts that “Anyone, and I mean anyone” can use. 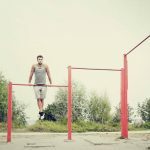 Derek Boyer, Strongman sensation believes Dead balls, aka slam balls are one of the best training tools a CrossFit or Functional Fitness Athlete can use. Mr. Boyer demonstrates proper form and explains the exercise, including reps and time to complete. This workout targets legs and core. Highly recommended video for those who want to lift heavy med balls. Coach Brian shows us a quick (but not easy) 10 minute slam ball workout. The text on the screen guides you through the sets and reps, which is nice. The music however is distracting. That’s OK, you can silence the video and still easily follow along. Got 5 Min and a slam ball? This quick video by Chelsey Hendrikson, Trainer and gym owner is slamming. Literally. For an intense 5 minutes. Give it a try. 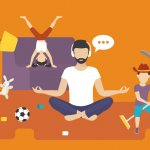 Once you catch your breath, let us know what you think. If you are an intermediate to advanced athlete, you may want to give a tornado ball workout a try. This video is for advanced athletes, who are new to the tornado ball. 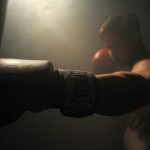 The trainer explains how to get started and emphasizes proper form, as well as the pitfalls and potential injury points. Overall, an excellent video for those who have not used a tornado ball. This 30 Minute full body workout will give you a well rounded workout using a medicine ball with one or two handles. The workout is fun and pretty easy, depending of course on how heavy your med ball is. This 27 min video uses the bouncing style traditional ball, plus a floor mat. 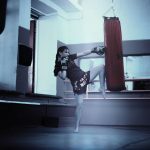 It is three rounds of 8 exercises. This workout is for moderately athletic folks and includes push ups done with one hand on the ball, squats, lunges, and ample core work. But what would a med ball workout be without a lot of ab work, huh? 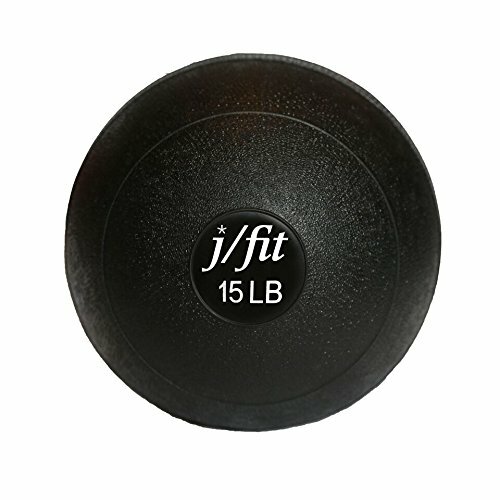 Review: This jFit Dead Weight Slam ball comes in a wide range of weights, from 10 to 50 lbs and has a thick rubber shell that is built to withstand a beating. 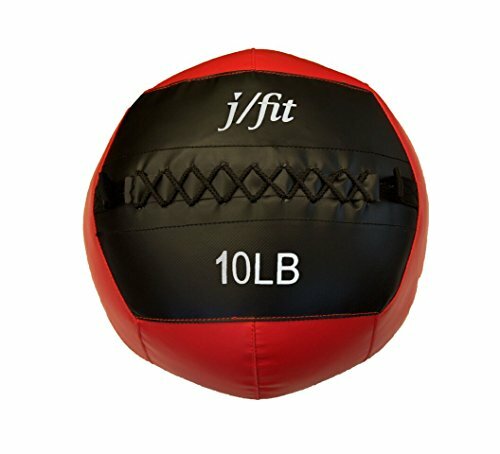 If you want a slam ball with thick skin the j/fit withstands all manner of slamming and may even tolerate bad words and criticism, too. Review: This Titan Slam ball comes in weights of 10 to 60 lbs is made from a thick rubber shell. A quality slam ball at a pretty reasonable price. 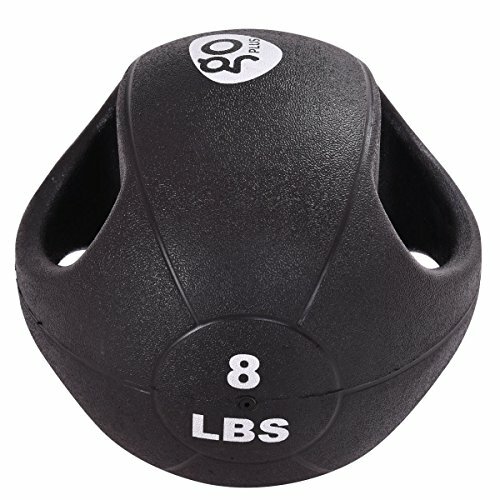 One of the best medicine balls for slamming at a budget price. Hot Tip: If you live in a second story apartment, a slam ball may not be the best choice for home gym equipment. Review: The traditional style Valeo medicine ball is made from sturdy rubber and has decent bounce. One of the best medicine balls for core and partner exercises. 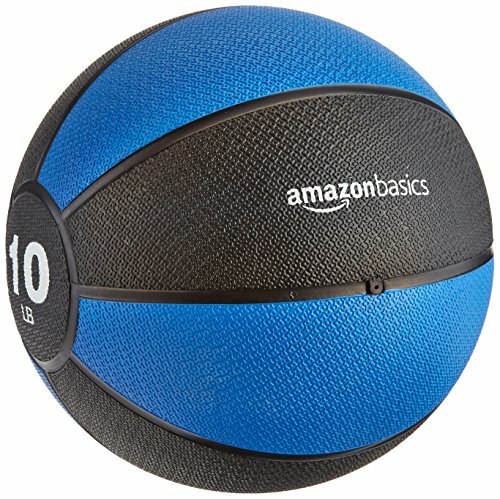 Review: The AmazonBasics med ball comes in a wide range of weights, from 4 all the way to 20 lbs. It looks similar to a basketball but with a different texture. If you like a medicine ball that is a little bigger, this is a solid traditional style ball. 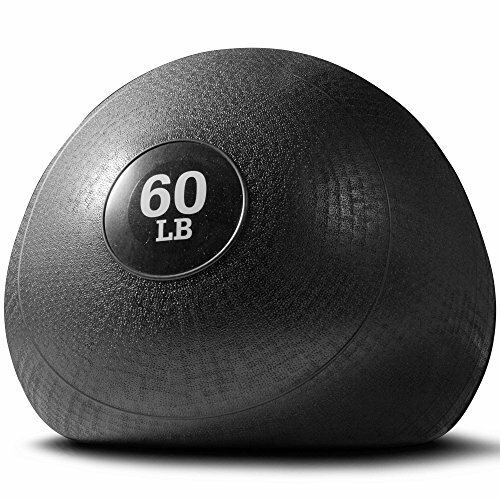 Review: Ranging in size from 6 to 30 lbs, and each ball undergoes a quality control test in the “balance Tunnel” to insure the ball rolls straight and is not lopsided. In addition to that, they weigh each ball before closing it up. We like that kind of attention to detail. This is a good wall ball, and should only be used for wall ball. It is not like a traditional medicine ball. It is larger and softer. One of the best medicine balls for CrossFit wall balls. Review: This soft wall ball is made from faux leather and is easy to grip, which is important if you plan to catch the thing as it hits the wall and comes back at you. These are also individually tested and balanced before being shipped. Weight and logo are stitched into the fabric, so they will not come off when the ball is used. A very high quality wall ball that will last if used properly. Review: This 6 lb tornado ball is made from SOLID rubber with a rope threaded through. This is a high quality ball from a know manufacturer. 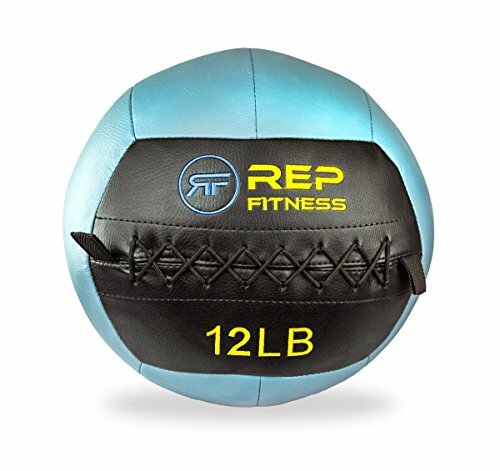 Review: This med ball with Dual grips is easy to grip while doing ab work or one handed medicine ball work. With easy to hold ergonomic handles, this is one of the best med balls with handles. That wraps up the Med Ball reviews. Let us know in the comments you favorite med ball workout or exercise.